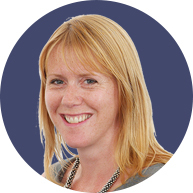 Holly is a transactional tax specialist with over 20 years tax experience. Holly qualified in 1994 with Arthur Andersen in London and following two years in Corporate Tax, moved to Ernst & Young to specialise in International Tax. She returned to Arthur Andersen in 2000 and was seconded to the USA to work in International Tax in Chicago. Holly returned to the UK in 2006 and joined HMT to specialise in tax advisory. She has gained extensive experience, working on a broad range of acquisitions, buy outs, disposals and capital restructurings. She has also advised on the implementation of employee share incentive schemes and a variety of personal tax planning issues covering income tax, capital gains tax and inheritance tax. Holly is based in Devon and works as a consultant for HMT. Holly lives in Devon with her husband Jasper, her four beautiful children and a small pack of dogs. In her spare time she is a proud supporter and volunteer for her infamous local rugby team, The Fishermen, with both a son and a daughter playing for the Youth teams.